Categories: Urban Bluetopia Collection, New Arrivals, Casual Collection, Necklaces. Tags: blue jewelry, necklace, rhinestone necklace. 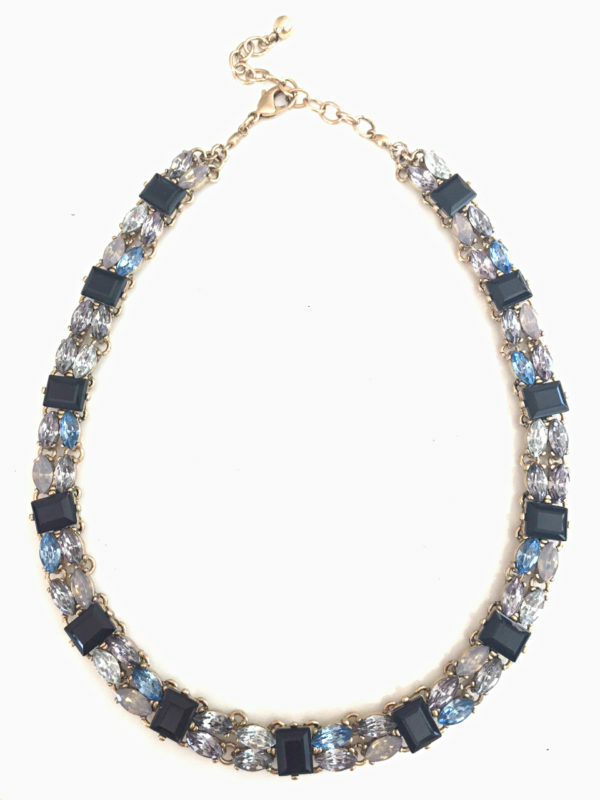 Our Odeta Gemstone Collar, from our Urban Bluetopia collection, exudes grace and class. Crystal gemstones with hints of blue adds that finishing touch of class and style to any outfit from a power suite or a dressy top. Necklace comes with a lobster clasp and extender.